The next to come out in hardcover will be Death Comes But Once, which is going through the pre-production checks right now, with the rest to follow over the coming weeks. Winter has finally struck for good and this time, it’ll stick. We woke up this morning to a white blanket over everything, more than the weather forecast led us to expect, and it’ll be followed up by a solid dump of snow tomorrow night, with mostly below average temperatures for the next two weeks. A white Christmas is now a certainty in our part of Canada. Sadly, it means yesterday’s walk was the last of the season for my dog. He’ll have to wait until late March or early April before chasing squirrels again. Tiny and low to the ground as he is, even a few centimeters of snow make walks unpleasant. And that means more time at the gym on the treadmill for me. But the first true snowfall of the winter, the one that will stay and become the foundation layer, is pretty to behold. A shame that I’ll no doubt be cursing at Mother Nature soon enough when I tire of the cold, of scraping off the truck and of slogging through another dump of white crap. Nope, I’m not a winter person. 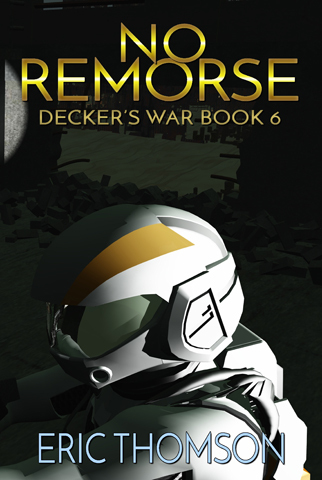 The sixth Decker’s War adventure, No Remorse, is coming along nicely. 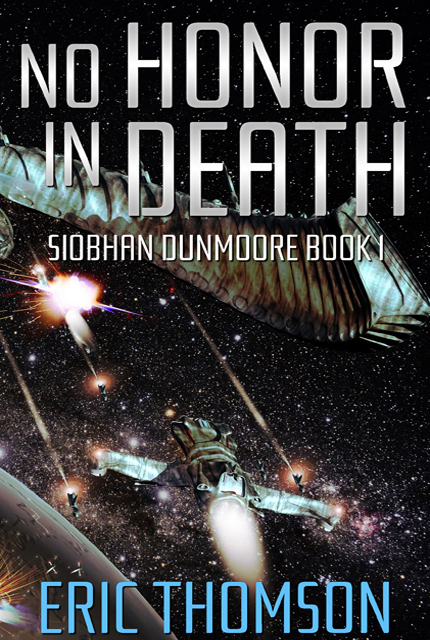 I’m almost at the 20% completion mark for the first draft, so it will likely be published before the fifth Siobhan Dunmoore adventure, sometime in late winter or early spring. And if you haven’t checked out my latest, The Warrior’s Knife, give it a try. I’ve posted the first four chapters to give you a feel for the style and story. It’s available for purchase anywhere ebooks are sold. This will likely be the last blog post for 2017. Even full-time authors need holidays every so often to recharge the creative batteries, but I’ll be back in January, hopefully well-rested and ready to face a new year of writing. Season’s greetings to all my readers. And may we be alive this time next year! Just in time for the Holidays, the first in my new 26th Century Murder Mystery series, The Warrior’s Knife, has finally been released. 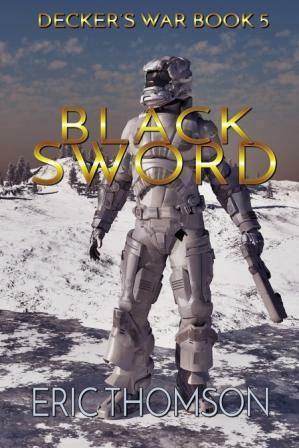 As I’ve mentioned before, this novel isn’t military science fiction or even space opera. 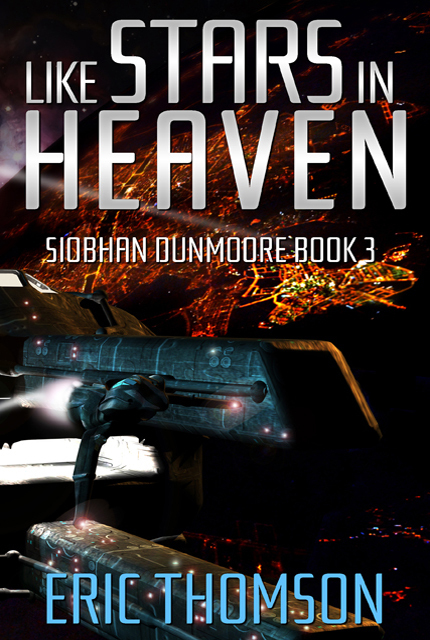 It’s a police procedural / murder mystery set in the 26th century Decker’s War universe. And although it has plenty of intrigue, aliens, and an exotic interstellar setting, it has no fistfights, no gun play, let alone combat or war. So take heed. 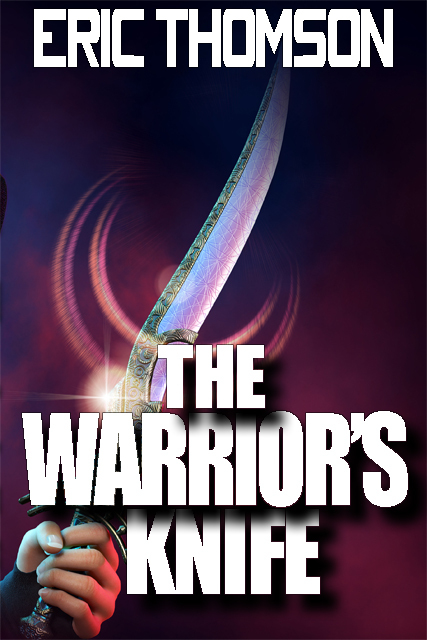 If contemporary murder mysteries aren’t your thing, The Warrior’s Knife might not be either. But if you want a good cop story with a sci-fi twist, an engaging protagonist, and a tale that builds until it hits an explosive conclusion, try it. You can get it pretty much anywhere ebooks are sold, and in paperback from Amazon. October passed so quickly that it’s left us stunned by a damp, chilly, and downright gray November. It also seems to have made the crew responsible for rehabilitating our street, driveways and front yard vanish. I haven’t seen them since they replaced most of our and the neighbors’ interlocking stone edges and walkways last week. We, along with half a dozen others are still waiting for the paving company to return and finish our driveways – hopefully before winter. Our snow-removal operator won’t like clearing a driveway that’s half small gravel, half asphalt with a two-inch height difference between both halves. Perhaps that’s why none of us have seen him put up his usual edge markers when they’ve already sprung up on neighboring streets. But since traffic cones, signs and a backhoe are still sitting idly by the curbs, I know that at least the prime contractor has to be back. I apologize for almost two weeks without a blog post or other sign of life, but revising and finalizing The Warrior’s Knife kept me fully occupied. It’s now much more to my editor’s liking and will go off to my proofreader this weekend. The whole revision process has been a fresh learning experience. It showed me the dangers lurking behind the keyboard when an author jumps into a new genre with a different voice. 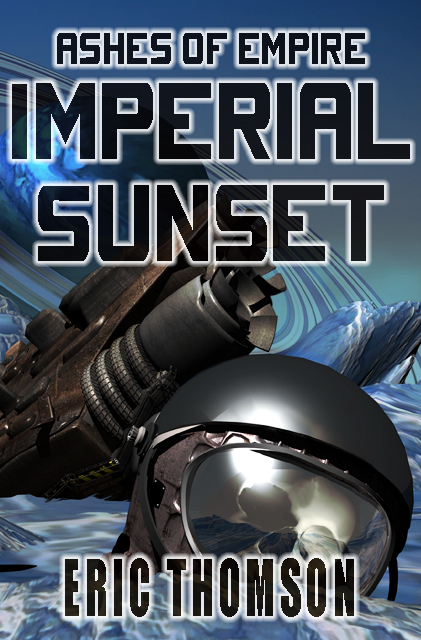 As I’ve mentioned before, this novel isn’t military science fiction or even space opera. 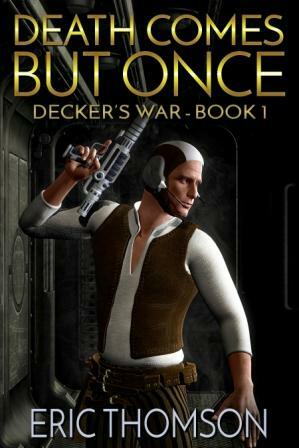 It’s a murder mystery set in the 26th century Decker’s War universe. And although it has plenty of intrigue, aliens, and an exotic interstellar setting, it has no fistfights, no gunplay, let alone combat or war. So take heed. If contemporary murder mysteries aren’t your thing, The Warrior’s Knife might not be either. But if you want a good cop story with a sci-fi twist, an engaging protagonist, and a tale that builds until it hits an explosive conclusion, try it. At this point, it should hit the bookstore shelves by the end of November. It’ll be available at all major ebook retailers (though it will not be available in Kindle Unlimited), as well as in paperback. I’ll email everyone who’s on my subscription list when it’s out. And now on to the next project…. I’ve just finished the first draft of my tenth novel, the opening installment of a new series I’ve decided to call Quis Custodiet, taken from the Latin Quis Custodiet Ipsos Custodes, which means “Who will guard the guards themselves?” It’s a question attributed to the Roman poet Juvenal in his work Satires, and is nowadays used generally to consider the embodiment of the philosophical question as to how power can be held to account. This new series is a spin off from Decker’s War and features Commonwealth Constabulary Chief Superintendent Caelin Morrow, the head of the Rim Sector’s Professional Compliance Bureau (PCB). The PCB is the Constabulary’s internal affairs branch, handles Armed Services cases requiring outside investigators, and takes care of political corruption matters that can’t be entrusted to regular law enforcement agencies. No one likes the PCB, which is also known, for obvious reasons, as the “Firing Squad,” but everyone knows they’re the last of the incorruptibles. When the PCB charges people, you can be sure they’re guilty and when they clear you, no one will doubt your innocence. 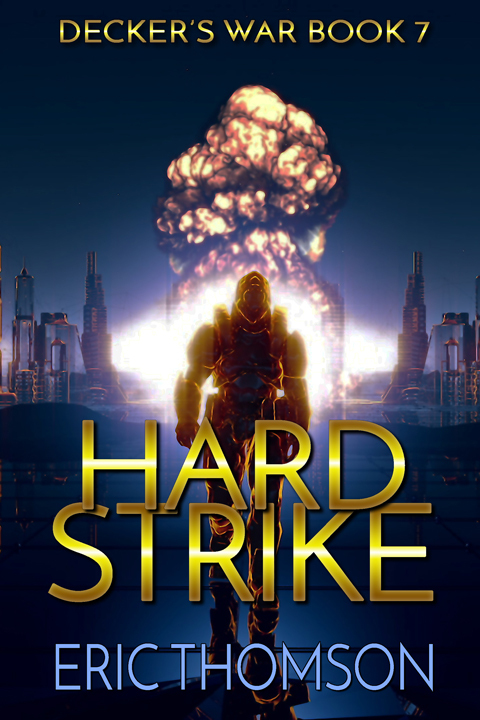 This is not military science-fiction, but a police procedural/murder mystery series set in the 26th century. However, Morrow and her investigators will often find themselves embroiled in matters involving the politics surrounding the Commonwealth Armed Services, including Decker and Talyn’s own branch, Naval Intelligence. 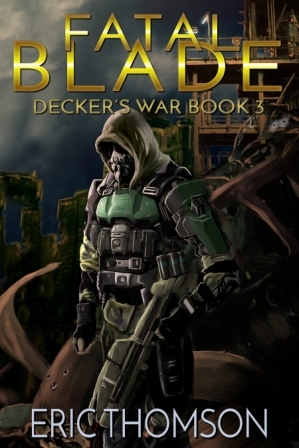 The first installment, which I’ve now titled The Warrior’s Knife, occurs in parallel to the Decker’s War story Howling Stars and features a guest appearance by Commander Hera Talyn, operating without her usual partner Zack Decker, as the prime suspect in the murder of a trade envoy from the alien Shrehari Empire. 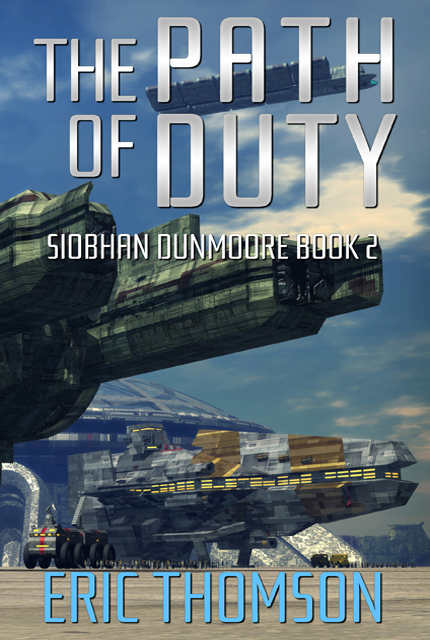 Before long Chief Superintendent Morrow will find herself pulled into the murky universe of covert operations where Talyn’s ruthlessness and dedication to the Fleet reign supreme. Needless to say, the conflict between PCB incorruptibility and Naval Intelligence’s views that the ends often justify the means will be most interesting. 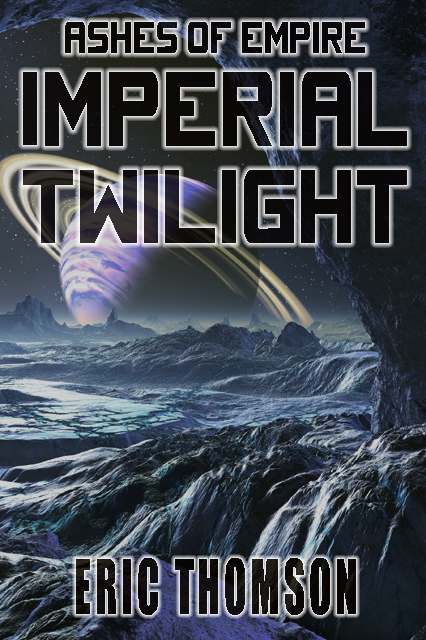 In a departure from my nine previous novels, this one is written in the first person, meaning the entire story is told by Caelin Morrow herself. As usual, the first draft is about to undergo a stringent revision before landing on my editor’s desk, so don’t expect to see it before some time in November, likely later in the month rather than earlier. I’ve not neglected Siobhan Dunmoore. 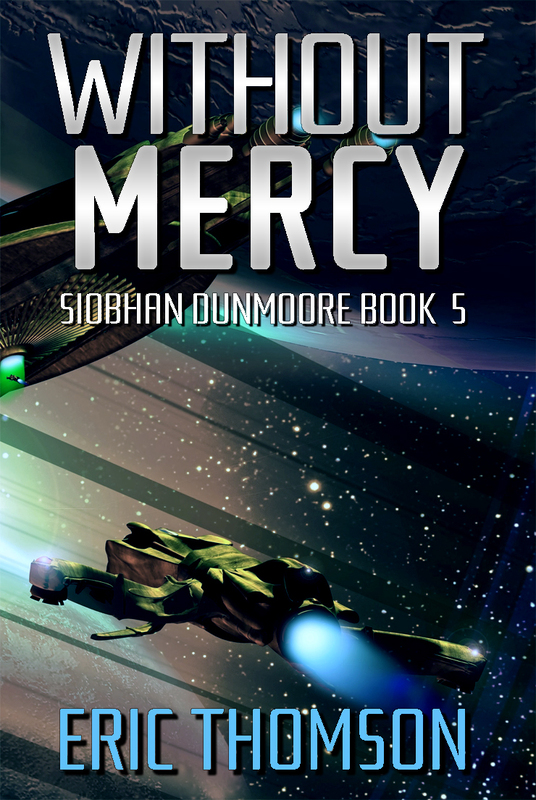 Outlining of Without Mercy is almost done, and I will be working on the first draft shortly, though I don’t see it hitting the virtual bookshelves before 2018. Although I don’t relish the idea of the upcoming Canadian winter, I have to admit there’s something enchanting about the changing quality of the light while we slowly head from the fall equinox to the winter solstice, the shortest day of the year. Coupled with the eruption of colour as trees prepare to shed their summer cloak and descend into the annual cycle of hibernation, autumn can sometimes be the most pleasing of times. Or, as a gray weekend proved, the least agreeable. As I write this, I see a whole army of squirrels on the neighbouring lawns, foraging to stock up food supplies. Are they sensing a harsh winter or a mild one? Time will tell. The weatherman on the radio just said we’d see our first bout of frost this coming Monday morning, which is about normal. I’ve finally put away the shorts until our next foray to warmer climes for a bit of scuba diving and am back in my usual writer’s garb of jeans and a button-down collar shirt. Though I’ll miss summer’s warmth soon enough, the cooler nights have done wonders for my ability to sleep better. The first draft of the fourth Decker’s War adventure is still fermenting quietly in the darkness of an enclosed hard drive or two. Once it’s ready for the revision, I’ll know. In the meantime, I’ve not been idle. 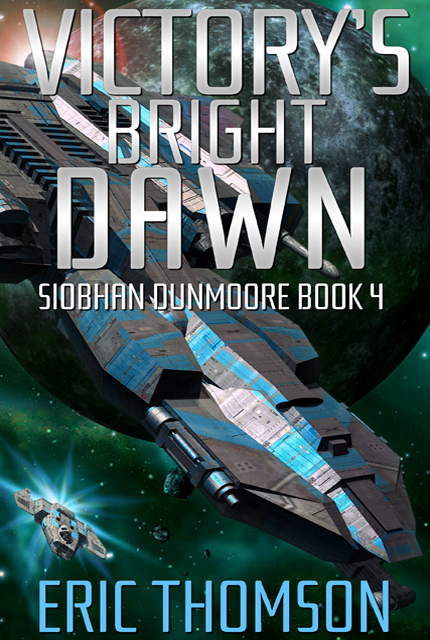 I’m scoping out story lines for the fourth Siobhan Dunmoore adventure, now that she has been given command of a new ship, with an old friend as first officer. And – drum roll – I’ve gotten well into (i.e. 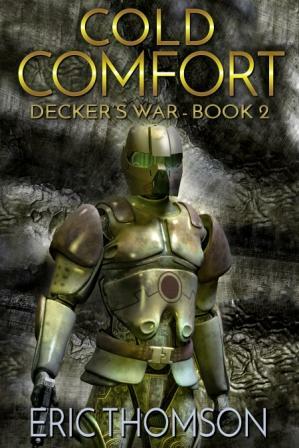 past 20%) the first draft of the first novel in a new series set in the Decker’s War universe, one I’ve wanted to write for a while. The protagonist is a character who’s been lurking in my imagination for a long time, almost as long as Dunmoore. I’ve decided to call the series Quis Custodiet, taken from the Latin Quis Custodiet Ipsos Custodes translated as “Who will watch the watchmen.” You can read more about it here. I’ll probably have the first draft done before this coming Christmas, with publication in late winter 2017. 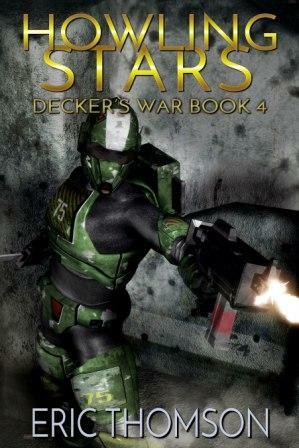 While the series will keep the Decker’s War space opera flavour, it won’t be military sci-fi. I’m not sure there’s such a thing as police procedural or hardboiled detective sci-fi, but if there isn’t yet, I’ll create it. So far I’m having fun with the story. It’s told in the first person, and hopefully comes across as reminiscent of the style of some of my favorite mid-twentieth century pulp detective fiction authors, although the murder victim is an alien and the story doesn’t take place on the mean streets of 1950s Los Angeles or New York, but on the mean decks of an orbital station dozens of light years from Earth. Happy autumn to everyone in the northern hemisphere, and a good spring to my readers on the other side of the equator!